The end of January and beginning of February was a lively time in the CEEO workshop room: we hosted two international groups of students. The last week of January, seven students from China, ages nine to eleven, plus two of their teachers, spent four days with us. The students were winners of StoryGames China, a LEGO story-telling competition. 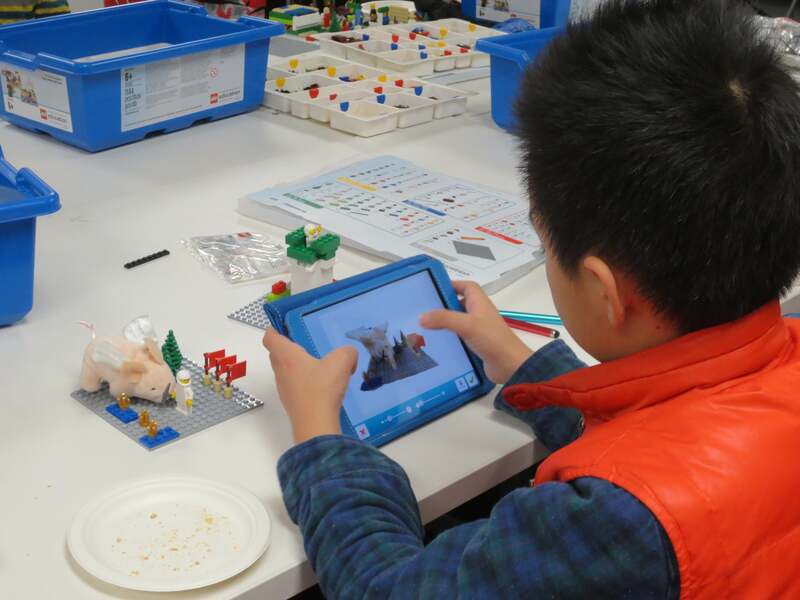 The CEEO helped to develop the concept for the contest, which asked students to use LEGO StoryStarter and StoryVisualizer to imagine a day in the life of astronauts in the future. Two members of the CEEO, Aaron Johnson and Sara Willner-Giwerc, traveled to Shanghai to help judge the competition.